When Do Muscles Grow After Working Out With Weights? If you recently started a weightlifting program, you're probably pretty eager to see signs that your body is building muscle. Patience, young grasshopper. Each time you lift, your muscles go through a recovery period that makes them bigger and stronger. However, this doesn't start right away, and how long it lasts depends on a few factors. Muscle protein synthesis occurs for up to 48 hours following a weightlifting workout. Protein is the main component of all your body's tissues, including your muscle tissue. Lifting weights causes damage to your muscles that breaks down the proteins; to combat this, your body makes new muscle protein to repair the damage. If your weightlifting program consists of applying increasingly heavier loads, your body attempts to adapt by creating even more muscle protein. This is what increases your muscles size and strength. Other factors, such as nutrition and sleep, also play roles. When you're actually in the gym lifting weights, you're breaking your muscle down. It's after you finish your workout, when you're downing your post-workout shake and relaxing on the couch that your body is busy making new muscle protein. This muscle recovery time period is limited and lasts up to 48 hours, according to Peter Tiidus, A. Russell Tupling and Michael Houston, authors of "Biochemistry Primer for Exercise Science," 4th edition. Certain factors can increase or decrease the duration. The first is training status. Muscle protein synthesis is elevated longer in untrained weight lifters compared to more experienced lifters. Second, is workout intensity. A particularly strenuous workout will keep muscle protein synthesis elevated for longer. In addition to lasting longer, muscle protein synthesis is greater in weightlifting newbies. You would think that would mean you would gain the most muscle after your first few workouts, right? Wrong. Muscle protein breakdown is also higher in beginners. Because of this, the body is just trying to keep up with demand. Even though it's cranking out new muscle protein, all of it is going toward muscle repair. It has no resources to also build muscle mass. A 2016 study in the Journal of Physiology concluded this period of no growth lasts about three weeks. Ten untrained men engaged in 10 weeks of resistance exercise. Measurements were taken at baseline and at one, two, three and 10 weeks. Muscle protein synthesis was highest at week one, but so was muscle protein breakdown. As the training program progressed, muscle breakdown and protein synthesis dropped, but by the end of week three, protein synthesis had surpassed breakdown. The researchers surmised that hypertrophy only occurs after an initial "breaking-in period." After that breaking-in period, it's up to you to continue applying the stimulus needed to promote muscle growth. You do this by adjusting weight, volume, frequency and intensity in your program. If your program stagnates, muscle growth plateaus. You can also stall or reverse muscle gain by not getting the proper nutrition. In order for protein synthesis to exceed breakdown, your body must have the energy and raw materials it needs to meet and exceed the demands of muscle breakdown. This comes from your diet in the form of calories and macronutrients, especially protein. Possibly even more important than the amount of protein you eat is the number of calories you take in each day, according to fitness expert and author Michael Matthews. Without enough calories, your body enters a caloric deficit. This means it has fewer calories than it needs to support physiological function — including protein synthesis — and physical activity. To get the energy it needs, your body will tap into your fat stores first. This is OK in the short term if you are trying to lose fat and not trying to build muscle, but if muscle gain is your goal, you will be running on empty. This forces your body into a survival state in which building muscle mass isn't a top priority and resources are allocated to supporting other more important physiological functions. Matthews also notes that being in a caloric deficit can increase levels of catabolic hormones and decrease levels of anabolic hormones. This means your body is breaking down muscle rather than building it. To keep muscle protein synthesis outperforming muscle breakdown, you also have to have enough protein. Protein is the building block of muscle. When you eat protein, it's broken down into amino acids, which your body then uses to make muscle protein. If you don't get enough protein from your diet, your body can't make muscle. Eating protein with the proper timing after working out can stimulate even more muscle protein synthesis. The usual recommendation is to consume 20 to 25 grams of protein shortly after your workout. This is thought to be the maximum amount the body can use to stimulate muscle growth at one time. However, more recent research published in Physiological Reports in 2016 shows that 40 grams is even more effective at stimulating muscle protein synthesis than 20 grams. When you're snoozing, your body is highly active building muscle. This is why getting enough sleep is crucial to adequate recovery and muscle growth. According to a study published in the Journal of Musculoskeletal and Neuronal Interactions in 2017, poor sleep quality and lack of sleep have been linked to loss of muscle mass. Short sleep durations and sleep interruptions reduce the body's secretion of insulin-like growth factor-1, which aids muscle growth. 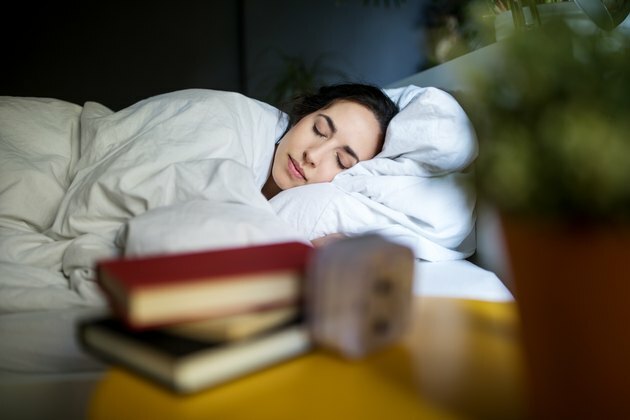 According to the researchers, less than six hours of sleep resulted in poorer recovery and gains, while seven to eight hours showed positive effects. However, sleep needs are individual, and you may need more than that, especially if your workouts are particularly intense. Because your muscles grow after training, it's important to allow enough rest between muscle groups. Working out the same muscle group too often can lead to overtraining and a loss of muscle mass. How long you need between workouts depends on a lot of factors, such as the intensity and volume of your workout, and your nutrition and sleep habits. However, according to a review in Sports Medicine in 2016, training each muscle group twice a week is most effective for muscle growth. On the other hand, you don't want to wait too long between workouts, because you want to keep your muscles in a state of muscle protein synthesis as much as possible. The review authors found that twice weekly workouts were more effective than once-weekly workouts. Bodybuilding.com: Rest and Overtraining: What Does This Mean to Bodybuilders? If You Miss a Meal Will You Lose Muscle?